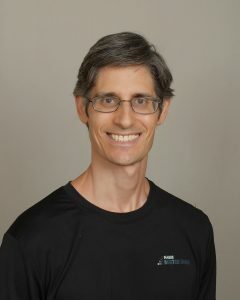 I, Jonathan Rose am a senior fitness specialist and am very passionate and concerned about helping seniors get on a regular exercise program in order for them to function their best. The body goes through numerous amounts of changes as one age. One can start exercising early and literally change the trajectory of how their body moves and functions. The body is very resilient and can benefit greatly from exercise if one starts later when the body is not moving and functioning as well. Over the years I’ve worked with many seniors and have seen their lives change dramatically when they exercise regularly. Some of the great and hopeful things I see are they. A seniors body has the ability to change in amazing ways which lead to their quality of life changing dramatically. I have a couple I am working within their 60’s, where the man has Parkinson’s. Over the past couple of years I’ve seen them both get in great shape, look and feel better, move better, are stronger and more flexible and feel hopeful and optimistic. He had some roundness in his shoulders and neck pain. Since we’ve been working together his posture has improved and his neck pain only happens occasionally which we address right away. I have a lady I am working with who is 96. When I started with her, she was very weak. I could barely transfer her from the bed to a wheelchair. While sitting in the chair, her head was looking downward, and she could barely walk. When she walked she got tired quickly. Over the past 8 months, we’ve been working together a couple of times per week. She is getting up and out of bed with her own strength. Her posture has improved immensely. She is sitting up straighter and her neck muscles are stronger now so she is able to sit with her head up now. She is a lot stronger and more flexible and is walking a lot better. Whatever stage of the aging process you decide to exercise your body can change in great ways. From the above example you can see that the sooner you start exercising, the better. The couple above who are in their 60’s are on a path of continuing to get stronger and in better shape. Because of being proactive they will probably not experience the many negative effects of inactivity through the aging process. One will go through a thorough fitness assessment taking into consideration their medical history and health and fitness goals. From there a tailor-made exercise program is designed that is safe and effective. The focus of this program is to help an individual: improve cardiovascular health, muscle imbalances, improve balance, increase strength and flexibility, improve posture, reduce body fat and weight if needed, improve muscle tone and strength as well as any other needs that need to be addressed. Many people in this age group have orthopedic issues they are dealing with like lower back weakness and pain, hip bursitis, poor posture, knee pain, neck pain as well as many other ailments affecting their quality of life. Those will be taken into consideration and a program will be designed within the limitations of the person. Through exercise one can expect to reduce pain, increase strength and feel better. One can exercise despite having pain and weakness. The key is getting the right guidance to do exercises that will help with the proper form and avoid ones that could hurt.